Krakow sightseeing? 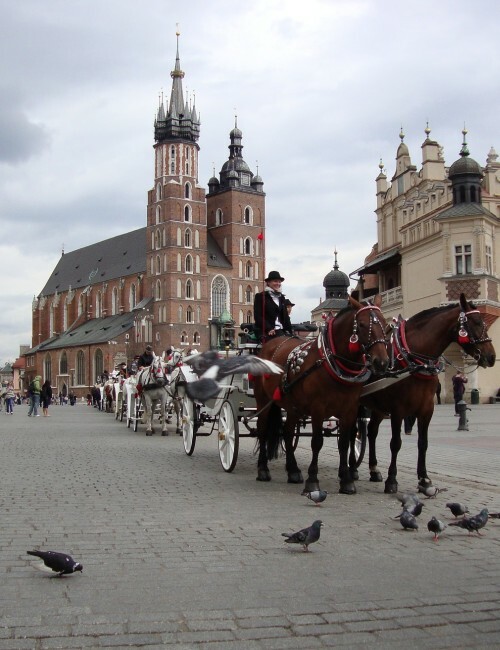 We present five different situations, when Krakow tour with a guide is the best solution! It is probably the most obvious – guided tours are perfect for large tourist groups. A person who leads you through the city corners tells all about the most important and beautiful monuments and places. Cognitive and educational value of such trips cannot be overestimated. Of course, it has to be a good, professional guide. He or she could help school teachers giving to pupils some additional knowledge in an accessible and attractive way (of course we talk about guides from Krakow Guide, for others we cannot vouch;)). Our guides also helps pilgrimages, because they know very well religious life of Krakow, city sanctuaries and historic churches. Our guides can also provide you organizational support in such matters like accommodation or meal booking. Krakow guided tours are also an excellent idea for those who are in the city for the first time, Trying to learn everything about the city it is good to hire local inhabitant, especially indigenous experts of guided tours! Let us show you the most intriguing secrets of Krakow and tell you fascinating stories that you will not find in the printed guides. As we mentioned above, Krakow Guide also helps you in all organizational issues, including accommodation and meal reservation. This type of assistance may be extremely valuable in unknown city. Trust the experts – trips should be carefree, right? What about those who was in Krakow many times? Does guided tour make any sense? Definitely! You have probably seen the most important monuments of the Old Town, Kazimierz and Podgorze (of course you can go back there again and again). But would you not like to go for another journey or discovery? Do you not want to see some new places? So who will check on this issue better than a professional guide? Krakow Guide has prepared more than 20 Krakow sightseeing routes, and we should add that we are always open to your own ideas! Our creative minds are working all the time! Krakow guided tour would be a fantastic solution when you expect guests – your friends, family or business partners. Do not be afraid of organization issues and leave it in the professional hands! We could arrange guided tours through Krakow or a trip around the city (perhaps to the Wieliczka Salt Mine or Ojcow National Park?) in English, German, Swedish, Russian, French, Italian and Spanish. If you are going to stay in Krakow only for a while, and you would like to spend it intensively, then you should choose one of our special guided tour for example Krakow in a nutshell. During the well-organized sightseeing (we can even book you a delicious dinner in a special price which we will eat together in one of the best Krakow restaurants), one of our fantastic guides will briefly show you the sights of the Old Town and Kazimierz. Feel the unique atmosphere of the city during the exciting Krakow sightseeing! Let us sum up in one sentence – Krakow tour with a Guide is always a good idea!